BIG TEN = BIG XII LITE? : I've called the Big Ten the Big XII Lite a few times in recent weeks. In doing so, some have laughed at the notion. Here are the facts: The Big XII has 10 teams, all of which are in KenPom's Top 76 (Oklahoma at 62 and Texas at 76 are the only sub-60 teams). The Big Ten has 14 teams, 11 of which are in the Top 70 and eight in the Top 60 - just like the Big XII. The biggest difference is the Big XII has major heavyweights in Kansas and Baylor (and even West Virginia if you're a true believer, which I'm not). Even Iowa State and Oklahoma State have this reputation now of being crazy-hot teams. Some might argue fewer teams are hotter than Michigan right now. And, of course, Michigan is the No. 8 seed in the Big Ten Tournament this week. I'm not saying the Big Ten is better than or even on par with this year's version of the Big XII, nor am I suggesting it will have more teams in the Sweet 16, Elite Eight, Final Four, etc., but the conference has a lot of meat in the middle. What does it mean? 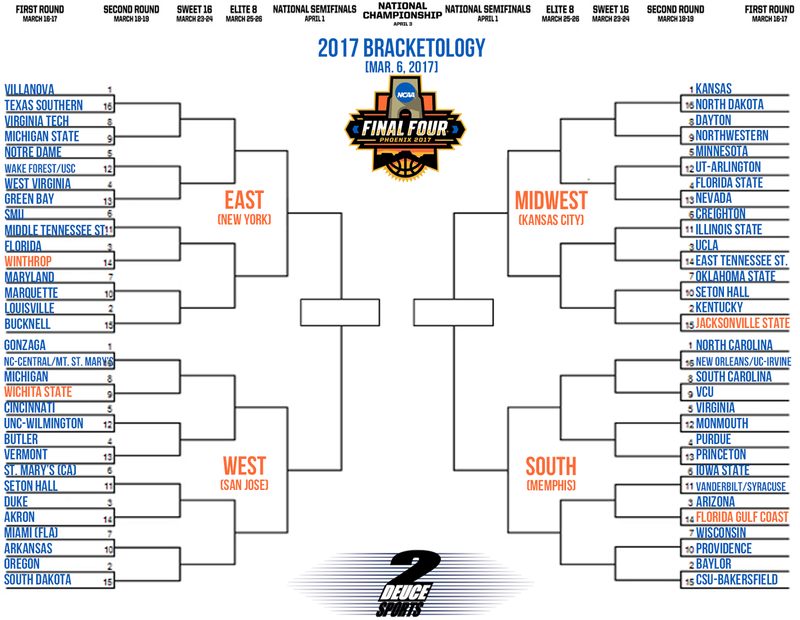 Well, if you're projecting a team in the 7-8-9-10-11 range to make a Sweet 16-or-beyond run, there's a good chance it'll have to be a Big Ten team based on how the league will flood those seed lines.